After the Second World War and the surrender of Japanese troops who had controlled Korea, the nation was divided between the Soviet controlled occupation zones of the north and the American controlled south, along a boundary known as the 38th Parallel. Splitting the country in two, in 1948 it became the border of the newly independent countries of North and South Korea. In 1950 war broke out between the two countries which resulted in a remarkable North Korean advance into the South, that nearly pushed the US forces into the sea. An impressive counter attack by the United States and the United Nations combined then resulted in much of the North becoming occupied. At this point the leader of North Korea, Kim Il Sung, realising that the situation looked bleak was preparing a retreat to the hills to engage in guerilla warfare tactics. It was at this time that Chairman Mao Zedong of China, sent in members of the People's Liberation Army to help North Korea, reinforcements which eventually led to the North pushing the warfront back down to the 38th Parallel, resulting in a stalemate position between the two sides. The Korean War Armistice Agreement was officially signed on July 27 1953 and resulted in a ceasefire between the two countries. However, a formal declaration of peace has never been signed, meaning that the two countries are still officially at war. When the armistice was signed this led to the Demilitarised Zone (DMZ) being created, in order to act as a buffer between the two countries to prevent further military action. Running roughly along the 38th Parallel, it is officially known as the Military Demarcation Line. Under the terms of the armistice, each side agreed to withdraw its troops a minimum of 2,000 metres from the line, dividing the peninsula and radically changing the lives of millions of people. It is the world's most heavily fortified border and is patrolled by an estimated 1 million troops on the northern side. 600,000 South Korean soldiers are stationed on the southern side coupled with 37,000 Americans and some of the world's most advanced military hardware. Ironically the lack of human activity along the 4 km wide, 250 km long strip dividing the peninsula, has led to an abundance of wildlife. Without interference from man, habitats have flourished and it has become a refuge for many endangered species. The DMZ is also popular tourist destination with around 180,000 visitors a year, so last weekend I decided to venture into this place of intrigue, to help gain a greater understanding of the events that have befallen North and South Korea over the past century. After meeting up in Seoul with a tour group, we travelled North along the Han River on the recently constructed Freedom Highway. Looking out of the window I could see that the side of the river was lined with barbed wire and there were military posts every few hundred metres. Some with soldiers in and some interestingly with cardboard cut-outs of military personnel in them, to give the impression of them being manned. The main building is the North Korean Hall and there are exhibits and photos here relating to life in North Korea, its politics and history. Standing opposite this is Mangbaedan, a large granite and marble altar constructed by the government. It is a place where people who cannot visit their homes and families in North Korea can gather, to perform ancestral rites on holidays at New Year and Chuseok. Lying just beyond this is the Freedom Bridge. It gained its name from events during the ceasefire between North and South Korea in 1953, when a total of 12,773 South Korean prisoners of war crossed it, when they returned from the North. 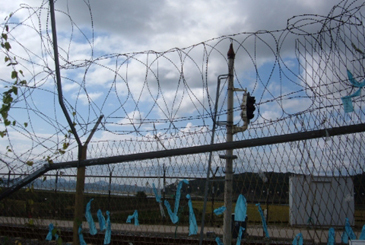 The end of the bridge is blocked by a fence and surrounded by barbed wire entanglements. People come to pray here and leave messages for a unified peninsula and peace between the two nations. There is also an open air museum here with planes and tanks from the Korean War, as well as memorials dedicated to those who lost their lives fighting. After looking around Imjingak, we boarded a bus with other tour groups and headed into the DMZ. We then crossed the Imjin River over the Unification Bridge, which was constructed in 1998 to replace the Freedom Bridge, previously the only entrance point into the DMZ. Along the way were we were forced to slow down because of the huge metal tank barriers, which the bus had to snake in and out of. Next, we passed through a checkpoint where our passports were looked at by Korean soldiers and we were warned not to take photographs for security reasons. From out of the window I noticed signs explaining the danger of landmines in the area. Once through the civilian checkpoint, we passed an army barracks where there were Korean soldiers playing basketball and football, before we finally arrived at the Third Infiltration Tunnel. 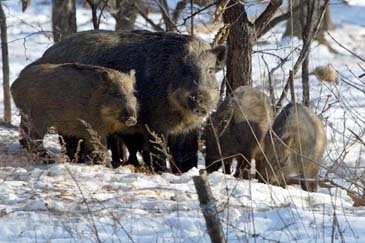 It was found on Oct. 17 1978 after the South Korean government was informed of its existence by a North Korean defector. 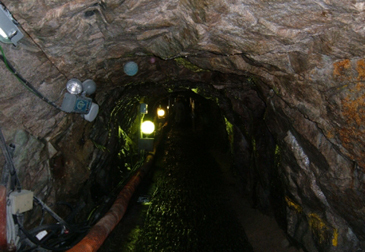 One of four tunnels discovered in the 1970s, it is believed that there may be as many as 20 in all constructed by the North as part of an invasion strategy. Situated 73 metres below the surface, it is 1,635 metres long, and averages 2 metres in height and diameter. It is the nearest of the tunnels located to Seoul that have been found so far and it would have been possible for a total of 30,000 troops to pass through it an hour. Before descending into the tunnel we had to put on hard hats and then we walked down a 400 metre decline which intersected with the tunnel. Upon entering, it was possible to walk into it another 400 metres, to where the edge of the DMZ exists above ground. Whilst walking along it our guide pointed out to us that the North Korean government had denied that the tunnel had been dug for military purposes, but was part of a coal mine and that they had even painted the sides of the tunnel black to help justify this excuse. Once we had reached the end we made our way back. Upon reaching the surface we boarded the bus once again and headed to Dorasan Observatory, which sits atop a small mountain overlooking the DMZ. 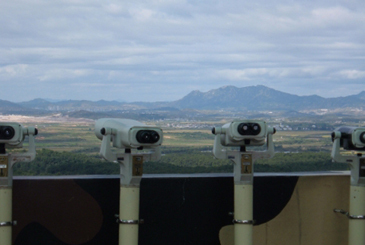 From here it is possible to view the North Korean propaganda village of Gijong in the DMZ and see even as far as the city of Gaeseong, North Korea's second largest city. Gijong was built as a tool to show the prosperity of North Korea to those living in the South and until recently also broadcast North Korean propaganda, through the huge speakers installed there. Strangely, no one lives there, only soldiers are present. The streets are empty. There are no cars or people. At night lights come on in the buildings, yet nobody is in. It is also home to what is believed to be the world's largest flagpole, which is 160 metres high. Displaying the North Korean flag, it was built in response to the South Korean government erecting a 100 metre tall flagpole in the nearby village of Daesong in 1981. Unfortunately you can only look out towards North Korea through binoculars or the telescopes provided. Photographs are only allowed within the marked zones. With the number of soldiers walking around I thought it wise to respect these wishes. After a short time we then all got back on board the bus for our final destination, Dorasan Station. Made famous when President George Bush visited in February 2002, he gave a speech highlighting his feelings for not only the hope that one day families would be reunited, but also the danger North Korea potentially posed to world security. Dorasan Station lies on a track known as the Gyeongui Line, which is slowly being repaired after a summit between the two Koreas in 2000. It is the northernmost station in South Korea and it is hoped that one day it will eventually provide a connection with the North and the rest of Asia. Three trains arrive here from Seoul each day and it doesn't currently serve much more real purpose than this, apart from providing people with tangible hope that things will one day change. 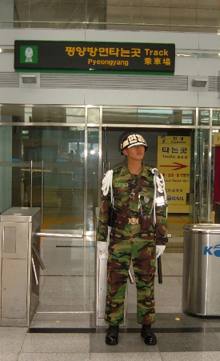 A South Korean soldier on duty stood in front of a ticket barrier, just below a sign that points the way for the track to North Korea's capital Pyongyang. He had little to do except pose with tourists eager for a photograph. As bands of happy, smiling snappers stood beside him to have their photos taken, he remained motionless throughout with a cold, icy stare. On the bus heading home I had time to reflect on everything that I had seen. One of the last remnants of the Cold War which still exist today, it is a place of intense emotion that seems a world away from the comfort zone of my apartment in Seoul, which unbelievably is only a short distance away. It really puts in perspective much of the sadness that Korea has experienced throughout its turbulent history and the tragedies and hardships that people have had to endure here. Yet despite all of these things, it is also a place where there at least remains some hope for the future. 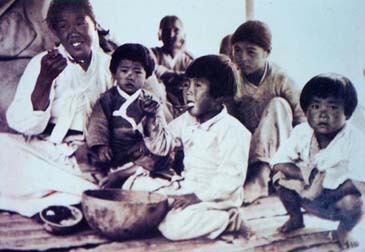 In recent years the governments of North and South Korea have allowed several short reunions of family members separated by the Korean War. Although this just represents a small minority of the millions kept apart, maybe Dorasan Station will one day not just be the last stop on a railway line at the border of North and South Korea, or somewhere people visit on a tour looking for something that little bit different, but a place where families are finally reunited after years of separation.